Wake up, wake up now! The ideologies of the old school of politics, media, monetary systems, corporations , and all known structures are in a state of transformation. They are crumbling and now is the ideal time for reform on all levels, if we seize this moment. I am sure we can get sustainable change in our world if we use the concept of globalization in our advantage to push for changes in a joint effort locally and globally. Iceland is in many ways an ideal place for experimental work in this regard, being a country with only 316.000 souls living there yet our society is among the most developed in the world. With a tiny bureaucratic body compared to similar societies, we can move radical change much quicker through our system. Right now we are doing an experiment in this regard with the Icelandic modern media initiative, also known as IMMI. The concept behind immi was to take an international form of legislation used to benefit the big corporations known as tax havens. Tax havens are created by pulling together all the best legislation from around the world to create secrecy to hide financial transactions and funds, to create shady companies, a cozy swindle haven. We wanted to use the same concept to create a transparency haven. We went on a quest to find all the best possible laws from around the world to ensure freedom of expression, information and speech. By basing our laws on legislation that has already proven to be strong enough to withstand attacks from those that want us to live in a world with less flow of information about the darker side of politics, international corporations, war and oppression, we are also supporting the laws in those countries we are basing our legislation on and it will also make our laws stronger in the global context. The immi proposal is already having an impact globally, there has been much dialogue all over the world as a result of this proposal, about the reality of freedom of information in a world where information doesn’t have any borders any more and the same applies to the legal firms that specialize in gagging journalists and media firms, they don’t have any borders either. 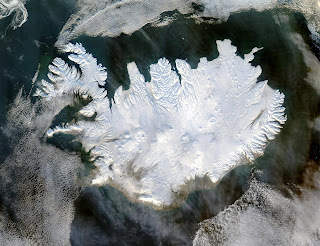 No one believed immi could be pulled through the icelandic parliament with such overwhelming support, all the MPs present and members of the government voted for it. I was sure it would pass – it just had everything going for it and by going with the flow following my intuition all the way through with it – it is becoming a model mps and people who are passionate about freedom of expression all over the world are using, to push for reform in their own countries. My aim is to make it into the International modern media initiative. Because everyday the freedoms we want to protect with immi are eroding in our world at an alarming rate. Here in Italy you are witnessing the end of the freedom of media with a new set of laws on whistleblowers. I have been asked by journalists and organizations from Italy if there is anything I can do to help. And I am wreaking my brain, how can I possible help this ancient culture with such incredible people who have put their mark on the history of the world. You surely have the manpower, the passion and the heart to make reform happen. There is no copyright on immi. Feel free to use it. It is rare that generations and so many individuals get such an opportunity to transform the world as we know it. The big question is how do we transform it? It is obvious that we are running out of planet, many people have lost the vital connection to our environment, most of humanity don’t comprehend cause and effect of lack of sustainability anymore and many of us feel lost, displaced and lonely. All the structures we thought would take care of us, be it systems, ideologies, religion, politics or institutions are failing big time. To follow my intuition as a politician makes a lot more sense to me then the rivalry and manipulations of left or right ideology. The right and wrong ideology of the old world has simply outgrown itself. No longer do we have strong parliaments with a direct link between the general public and decision maker. We have so called professional politicians that are far removed from the reality most of us live in. Parties and politicians are often in an unhealthy marriage with corporations and corruption is thriving in the political arena all over the world. Many governments and politicians talk about transparency yet the process of politics and laws is shredded in secrecy. When everything collapsed in Iceland in 2008 I sensed that within this crises was to be found an incredible opportunity for change. Many others sensed this as well and grassroots movements appeared out of thin air with the aspiration for real change for a society based on integrity, compassion and equality where the general public should and could be able to help co-create society. As a result of an attempt to have the grassroots groups work together on larger issues and of course to join hands in protests and pressure for change I helped create a political movement February 2009. Its chief agenda was to bring forth democratic reform, such as people being able to call for national referendum and to be able to vote for individuals not only parties. We also are aware of that no matter who you place in a corrupt system in thrones of power, even fine individuals get corrupt with power and the fear of loosing power. In order for profound change to be possible those of us inside parliament have to behave like activists by changing the traditions and revealing the unwritten rules of power. Information will set you free. Now once we have the information what are we going to do with it? What sort of world do with want to live in and are we ready as individuals to put the time energy and effort into creating the blueprint of the future? The 21st century will be the age of us, the common people, where we will come to a profound understanding that in order to live in the reality we dream of, we have to participate and help co-create that reality. But how? Yet again an Icelandic experiment might be an answer. All nations have done this at some point. We are going to rewrite our constitution. Usually it is the elite that writes the constitutions, we however have managed to make sure that the general public will take part in both the dialogue about what should be in our constitution and to vote on each new constitutional law before the parliament has its final say. This is fundamental in order to ensure that the constitution writing will be a part of a broad dialogue and consensus on what we agree on as a nation should be the foundations of our society. If this experiment works for us I strongly recommend that all nations will follow suit if the constitution is not something you know by heart and has a profound meaning towards the future. Perhaps we can once that process is over make a constitution together for the world – in Bhutan for example they put in their constitution that they would have instead of GDP measure, happiness measure. The annual growth of happiness. The concept of gross national happiness (GNH) was developed in an attempt to define an indicator that measures quality of life or social progress in more holistic and psychological terms than gross domestic product (GDP). I think every constitution on our planet should include something about the importance of happiness among its nations. I hope ours will. The real value I see in the rewriting of constitutions is the dialogue between people in each country and this platform of co-creation. The root of most of our problems as humanity on this planet comes from greed and hunger for power. We have war upon war upon war and we all know in our hearts that war is always about these elements. How do we counterbalance this and all the lack that seems to be all over our world. We all know that there is enough food, land and water in our world for everyone. Yet starvation, war, conflict, disaster and hatred seem to be the only thing we get to know about other nations on a regular news basis. In order to counterbalance this we must change our monetary systems. Fractional reserve banking is creating money out of thin air and in the end the bubble always burst and who ends up paying? The motto of the banksters has always been; privatize the profit, socialize the losses. So why do we let them get away with it? Is there really no alternative? Well I got news for you, there are many alternatives, there is never just one way of doing things. But those in power tend to want to maximize their own profits at the cost of those they are supposed to be serving. Explore new monetary solutions, there are plenty of models to explore. I encourage you to see Money as dept, the Money masters, the secret of Oz and Capitalism, a love story. I might be a dreamer, but I am not the only one. Everyday I come across people who have the same dreams, who want to do something both locally and globally. We as humanity almost stopped the Iraq war, because we worked together globally through the internet, wrote articles, took to the streets, organized events and rallies. If there is something we have to make sure stays under the guardianship of nations not corporations then it is the following, water companies, energy companies, social welfare, education and health systems. We have made everything so complex and grand, perhaps it is time to return to more simple ways, more self sustainable ways, we can do that by learning from each other, by helping each other locally and globally and by remembering that we as individuals can change the world. A year and a half ago, I was temporary unemployed, single parent, living below the so called poverty line, with the simple goal in my heart of figuring out how I as an individual could help create a sustainable future for the next seven generations, how to make this planet smile from within, how to co-create my society. During my life I have been given many difficult lessons, death and great loss has been my companion and I have lost many dear friends and relatives to various modern social ills. I chose to use these difficulties to make me stronger and more compassionate towards the difficulties of others, I chose to make me more humane. It has not been easy yet I wouldn’t change a second of it. It has made me into me and I am content with how I have developed. Needless to say: no one really believed I could be where I am today. It is not a fairy tail though but a story I co-created in partnership with my society. First of all it is not as hard as one imagines to create a political movement. Most people have seen that left and right politics doesn’t have any meaning anymore. To create political movement based on common agenda such as a youth party to focus on issues young people find to be important is something I would like to see happening. My political movement was based around democratic reform because that was what was the most needed in our country at this time. Get ordinary people into power who have no political training and who will stay only for a short period of time in power. Because no matter what they will tell you: power corrupts and disconnects people from the reality other citizens live in. We created the Movement 8 weeks before elections, we had no money, no one knew us, yet we got more then 7% of the vote at the general elections. One of the reason why it is so important for groups to get representatives into places of power, is that it is a lot easier to get media attention on the cause, and it is handy to be able to confront or talk with ministers and other mps about important issues without delay. When I was working as an activist one of the hardest challenges was to get the attention from both the media and the people in power to the cause, getting some changes implemented was nearly impossible. Now that I am getting a better understanding on how things work within the legislative body I have much better chance to help other activists and the general public to get attention and even legislative changes and resolutions on issues they are concerned about. The key is to apply pressure and changes from within the system during pressure building from outside. What might seem impossible now might be quite possible tomorrow because we are experiencing very rapid changes on all levels. So I encourage you to start to make the blueprint for the future you want to live in, to be passionate about your cause and to believe that everything is possible, failings might turn into tomorrow successes. It is important to learn the game the people in power play in order to keep their place of power. But the most important part is if you have a chance to work within the belly of the beast to not become like them but to listen to your heart, to listen to your intuition and to be impeccable with your word. And finally not care at all if you loose that place of power. I don’t care if I am out of work tomorrow, I am only focused on what I can do today. It gives me incredible freedom to follow the flow of this very moment. Finally here is a poem that sort of explains why I co-produced the Collateral Murder Video published by WikiLeaks during Easter this year. You should look at this video no matter how hard it is to experience the lack of humanity displayed there and then look up another video with a speech from the soldier who discovered the children in the van. He wrote to us and wanted to do something for the children, he has stepped forward with incredible courage and compassion to mend for what he was part of during this ongoing war. Helping making this video with awful war crimes, available to everyone who dares to see our world with its many wounds was my Cry from the Heart in action. I hope it will inspire you to work for peace, work with compassion in our world. Collateral Murder: video footage from a US Apache helicopter in 2007. It shows Reuters journalist Namir Noor-Eldeen, driver Saeed Chmagh, and several others as the Apache shoots and kills them in a public square in Eastern Baghdad.